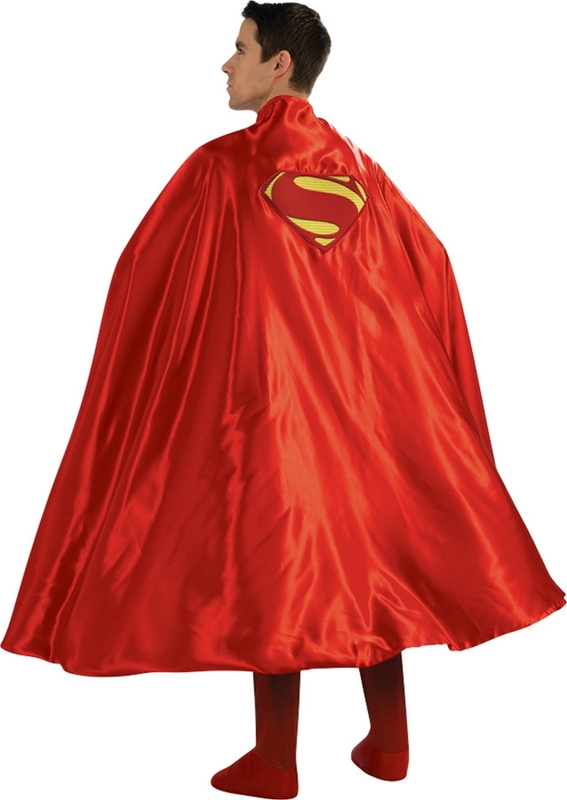 Complete your Superman Halloween costume with this Superman Deluxe Adult Cape. The long cape features a hook closure on the front and a large Superman on the back. Perfect for Halloween, this Superman cape can also be used for comic book conventions, cosplaying, and superhero themed parties and events.